Summer is wrapping up — don’t miss your chance to enjoy all the music, festivals, and more. 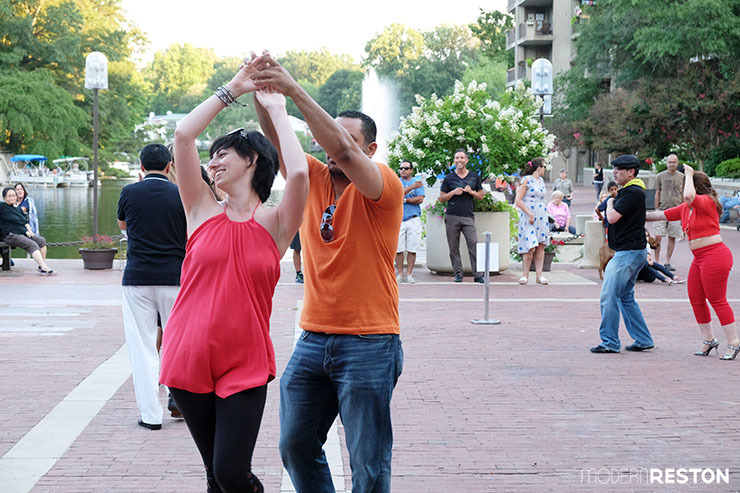 August’s event highlights include the Fairfax 4H Fair and Carnival, two triathlons, and a new happy hour concert series on Thursday nights at Reston Town Center. Here is the event calendar for August in Reston, Herndon, and the surrounding areas of Northern Virginia. 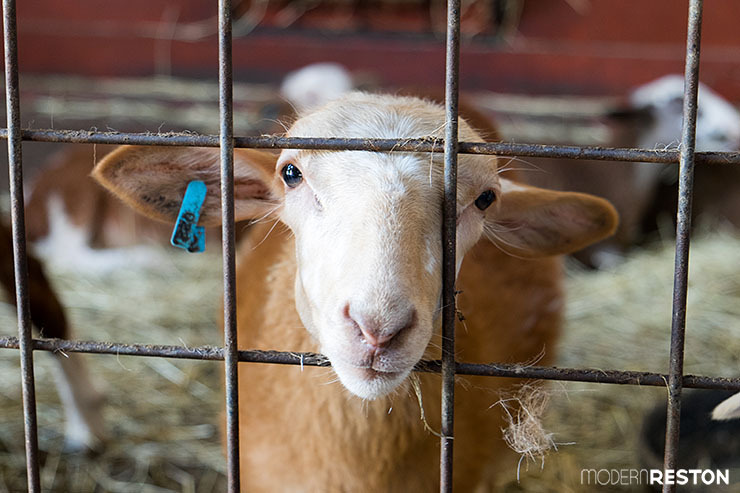 The Fairfax 4H Fair and Carnival returns to Frying Pan Farm Park July 31st – August 2nd. The carnival will be open from 11am-10pm, the farm activities will be open throughout the day, and day will include dog shows, tractor pulls, and live entertainment. An entertaining percussionist demonstrates different kinds of drums, tambourines, marimbas, and more. FREE. Fairfax County Park Authority is proud to present a $5.5 million expansion to this popular water park. A brief ribbon cutting ceremony will be held as the new slides and water features open to the public. Bring your lawn chairs or picnic blankets to the Pavilion for Spanish flamenco guitar and Latin fusion. Rain or shine. FREE. 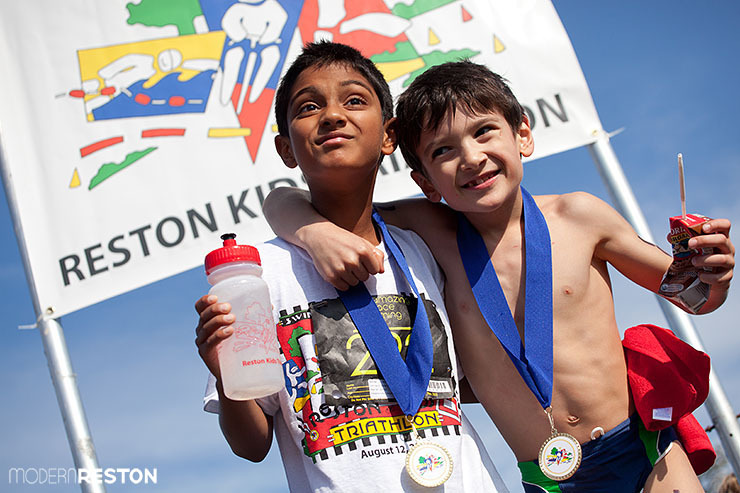 Cheer for Reston’s junior athletes at the Reston Kids Triathlon on August 2nd. Kids aged 6-14 will swim, bike, and run in this popular community event. The carnival will be open from 11am-7pm, the farm activities will be open throughout the day, and day will include dog demonstrations, horse games, and a parade of champions. Come out to the pool and enjoy some refreshing ice cream as you lounge poolside. Make sundaes for the kids and for yourself. Supplies are limited. FREE with RA pool pass. Take the night off cooking and bring the family for an evening of food, entertainment, and swimming. FREE with RA pool pass. Every Tuesday morning in the summer Lake Anne Plaza hosts free shows for young children. Located in the shady area by the children’s pyramid. FREE. Bring a comfortable pool float and watch a movie from the water. Popcorn and drinks will be provided. Movie title TBA. FREE with RA pool pass. A variety of food truck vendors provide lunch and dessert options on the first Thursday each month, through October. August trucks: Tortuga, BBQ Bus, Doug the Food Dude, Captain cookie & the Milkman, and PassionFish (on their patio). Enjoy live music from the decades and drinks. This week’s concert features a 1960’s cover band. Bring a lawn chair or blanket. $6 wine and beer. Rain or shine. FREE. Bring lawn chairs or a picnic blanket, and enjoy vocal jazz by the lake. FREE. 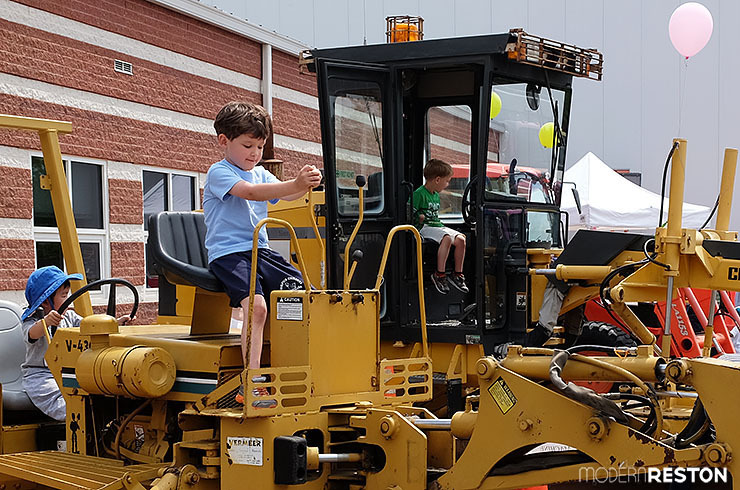 Kids can climb on RA’s construction vehicles at Totally Trucks on August 7th. 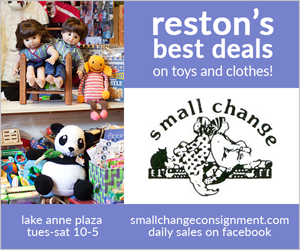 Bring the kids and check out all the big trucks that Reston Association uses. Children will receive a truck coloring book and a “Totally Trucks” construction helmet. This weekly concert series features local and regional bands. This week’s concert features a cover/original party band. FREE. A series of short films about environmental topics will be presented, with topics that include redwood forests, equatorial glaciers, and Virginia opossums. Popcorn, beer, and soda will be available for purchase. Admission is FREE, but a $5 is requested. Magician Geoffrey “Geo” Weber will put on a magic show. FREE. Bring your lawn chairs or picnic blankets to the Pavilion for Brazilian roots-rock and funk. Rain or shine. FREE. Athleta will offer a Piloxing Barre Master Class in the pavilion. FREE. Bring lawn chair, a picnic, your friends, or a date, and enjoy a movie under the stars. 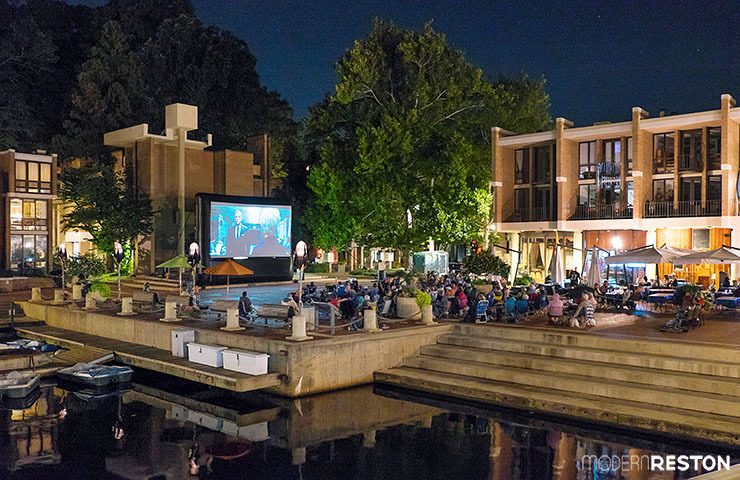 This third annual film festival takes place at Lake Anne once per month during the summer. FREE. 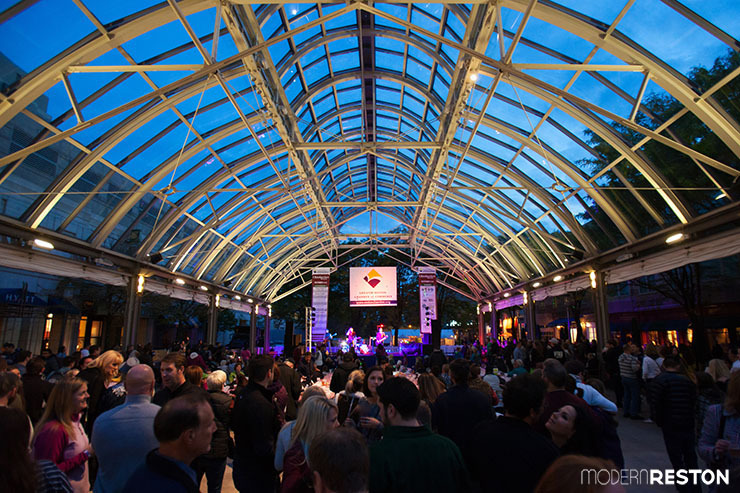 Every Thursday in August, Reston Town Center is hosting concert events called Rock on, Reston! Enjoy live music from the decades and drinks. This week’s concert features energetic, acoustic rock. Bring a lawn chair or blanket. $6 wine and beer. Rain or shine. FREE. Bring lawn chairs or a picnic blanket, and enjoy vintage rockabilly honky tonk by the lake. FREE. This weekly concert series features local and regional bands. This week’s concert features an 80s cover band. FREE. Bring your lawn chairs or picnic blankets to the Pavilion for reggae and calypso. Rain or shine. FREE. 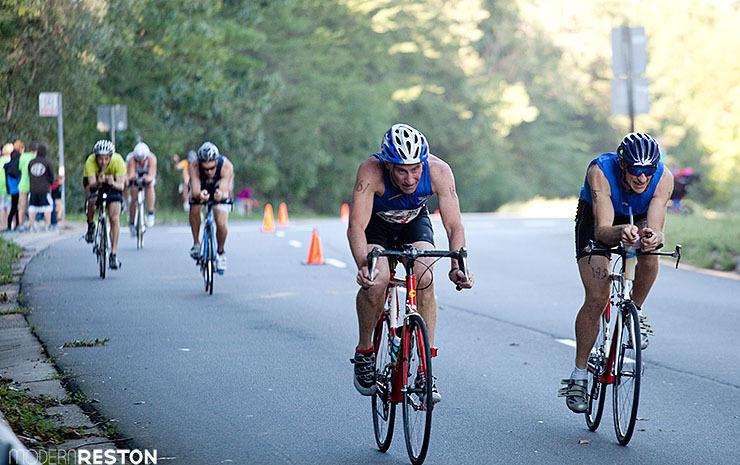 Teams of families and friends will race the Reston Relay Triathlon on August 16th. Families, friends, and colleagues will team together to compete in this race. The purpose of the race is to introduce athletes to the sport of triathlon, without the daunting task of having to be proficient in each of the three disciplines. Enjoy live music from the decades and drinks. This week’s concert features reggae, ska, and top 40. Bring a lawn chair or blanket. $6 wine and beer. Rain or shine. FREE. Bring lawn chairs or a picnic blanket, and enjoy celtic music by the lake. FREE. Come out for one last hurrah before school starts. The party will have fun, entertainment, and fun for everyone. FREE with RA pool pass. This weekly concert series features local and regional bands. This week’s concert features a 90s cover band. FREE. Bring your lawn chairs or picnic blankets to the Pavilion for Louisiana zydeco and high-energy blues. Rain or shine. FREE. The Take a Break concert on August 27th will include dance instruction and country line dancing. Enjoy live music from the decades and drinks. This week’s concert features roots rock. Bring a lawn chair or blanket. $6 wine and beer. Rain or shine. FREE. Bring lawn chairs or a picnic blanket, and enjoy country line dancing by the lake. FREE. This weekly concert series features local and regional bands. This week’s concert features a high-energy party band. FREE. Bring your lawn chairs or picnic blankets to the Pavilion for big band jazz. Rain or shine. FREE. RA invites all those who enjoy the late night adult swim hours to join us for a movie by the hot tub. Come relax, enjoy a Luau atmosphere, and we enjoy a free movie and refreshments. Movie title TBA. FREE with RA pool pass. The final Lake Anne Film Festival screening will take place on August 30th.